And, in the spirit of the season, I want to make sure that you saw their greeting … which I found by digging down into Twitter. Look! It’s your Racing Presidents! Plus, there’s your eagle Screech, who, to be honest, always looks like he came off the remainder rack at a high school yard sale. And, see, they decorated for you! They don’t hate you after all. 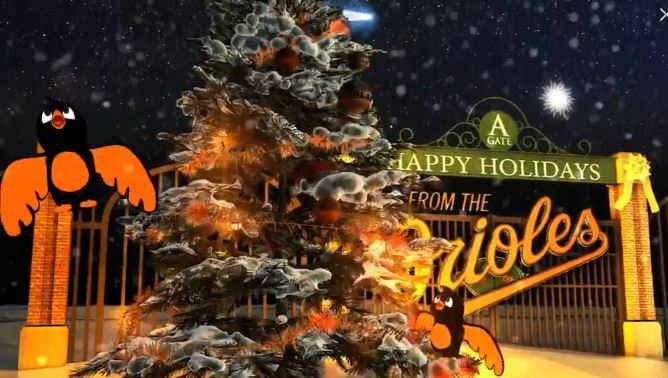 And, several players took the time to wish you happy holidays, too. Look! Max Scherzer even smiled when he said it. Well, sort of. Almost. 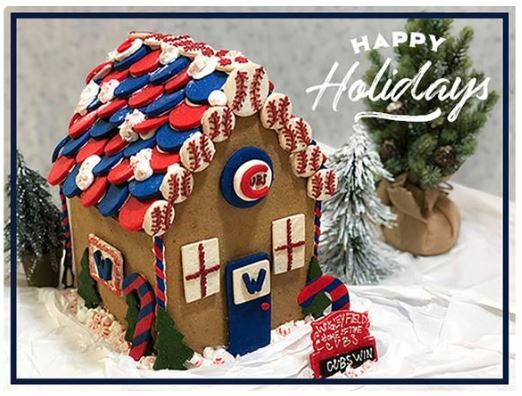 Cubs fans didn’t get a video — they just got a lousy photo of a gingerbread house. You got two videos! And, with that, I have now watched all 30 team greetings for 2018. Now get out there and sign some free agents. And, start counting the days until pitchers and catchers report. 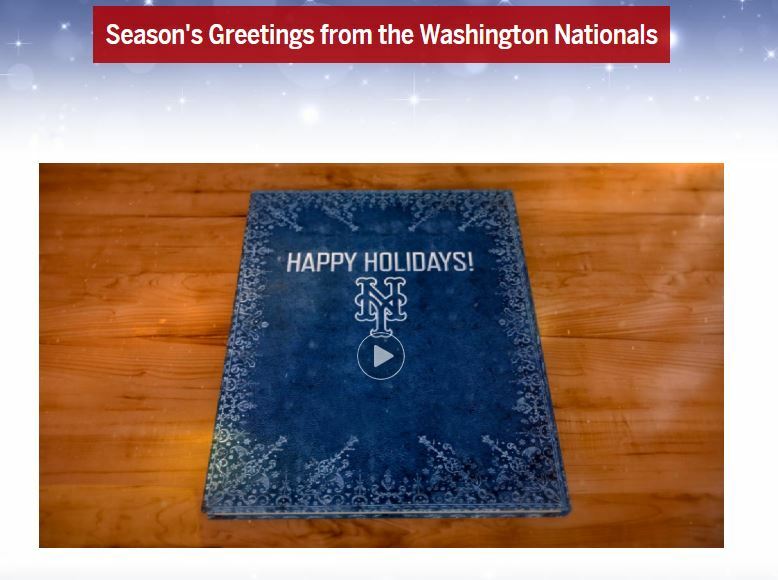 This entry was posted in Baseball and tagged Season's Greetings, Washington Nationals by Jackie, The Baseball Bloggess. Bookmark the permalink. Actually, many teams are set for February 12 (including the Red Sox and Mets) and Feb. 13 (the Orioles) reports … so we can start the fun even sooner! As the Cubs made their fans wait more than a century for a WS, who knows how long it may be to see a video! Happy New Year, Bloggess!